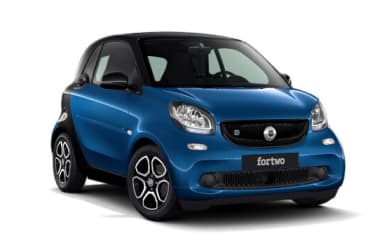 All smart EQ fortwo and forfour models are eligible for the low emission vehicles (OLEV) grant. Purchase any electric model and receive up to £4,500 off your vehicle*. Connection through a purpose built wall box at home is the fastest way to charge your smart electric drive. A wall box will charge from 20-100% in just 3.5 hours. You can also charge your smart electric drive from a domestic power socket, it just takes a little longer: 20 - 100% in 6 hours. 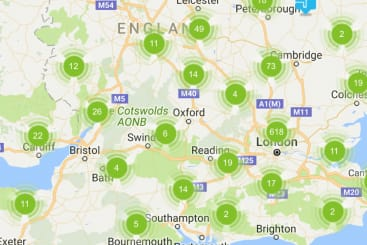 You will have already noticed various charging points appearing across the UK, and they will become common place as electric cars become more popular. 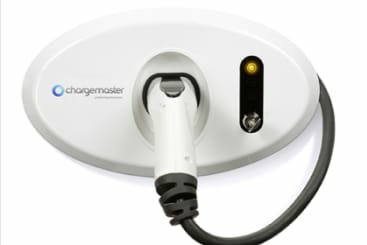 Most stations support the Type 2 connector of your smart electric drive. Whether you are at home, at work, or out for the day, you can be comfortable knowing that you cam always locate your nearest charging point. With the smart cross control app you can access your charge status, range and vehicle functions from your phone. *The OLEV grant is subject to terms and conditions and eligibility may be revised or withdrawn at any time without prior notice. *From 20—100% charge in approx. 3.5 hours when charging at a wallbox. Depending on the local electricity infrastructure and the charging current set on the charging cable. **New European Driving Cycle. The figure shown relates to the smart fortwo coupé and was obtained in accordance with the prescribed measuring process (Sec. 2, Nos. 5, 6, 6a of the German Ordinance on Fuel Consumption Labelling for Cars [Pkw-EnVKV] in the applicable version). The figures are not based on an individual vehicle. They are provided solely for the purpose of comparing different vehicle models. It is common that differences occur in real driving conditions compared with these certified laboratory values.